LOS ANGELES, CA -- Move over, Julie Andrews, there's a new Mary Poppins in town. Walt Disney Studios announced Tuesday that "Into the Woods" star Emily Blunt would be taking over the part of the P.L. Travers-created nanny in a sequel to the 1964 classic, with "Hamilton" creator Lin-Manuel Miranda joining as a new character, Jack, the street lamplighter. 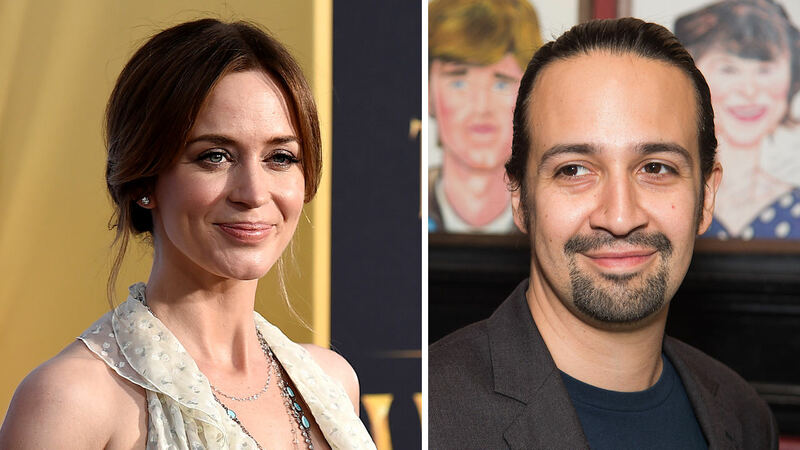 The film, entitled "Mary Poppins Returns," will center on a now-grown Michael Banks and his three children in the aftermath of a tragedy and the help they get from Mary Poppins and Jack in Depression-era London. Rob Marshall is set to direct off of a script from "Finding Neverland" writer David Magee. The film is scheduled to hit theaters on Dec. 25, 2018.